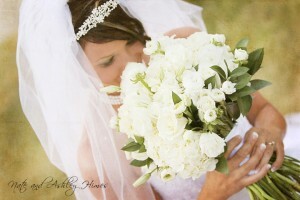 The sweet bride carried a lush bouquet of white hydrangea, white roses, and white lisianthus. 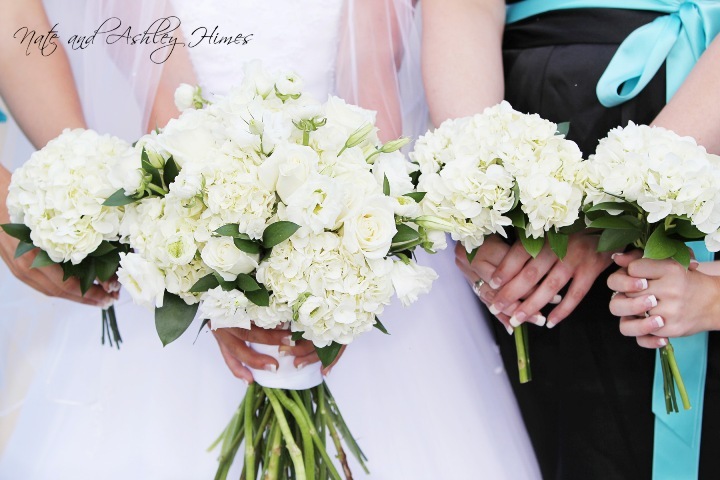 The bridesmaids carried petite bouquets of white hydrangea. Occasionally they also carried their shoes. 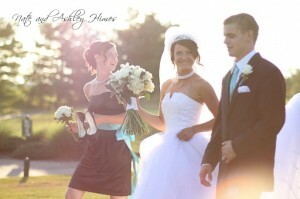 Thanks to Nate & Ashley Himes for sharing the beautiful photographs they captured. Contact them and see more of their work on their blog. 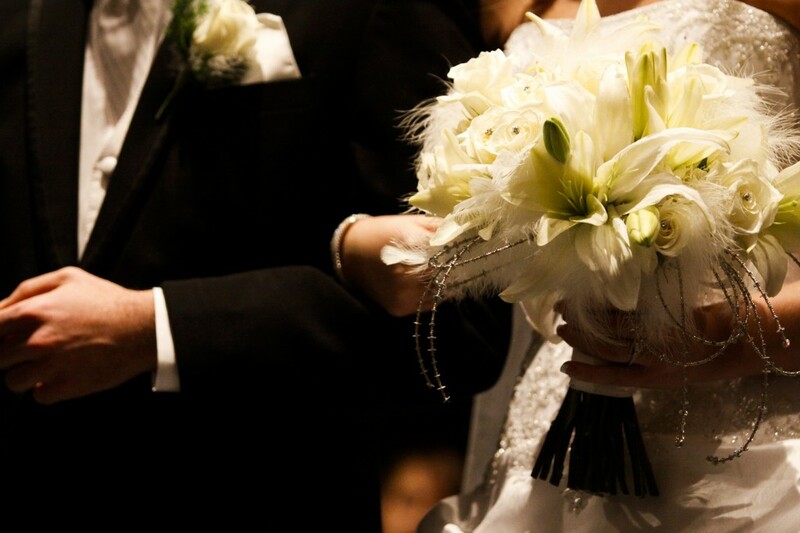 The bride carried all white bouquet of roses, lilies, and hydrangea. 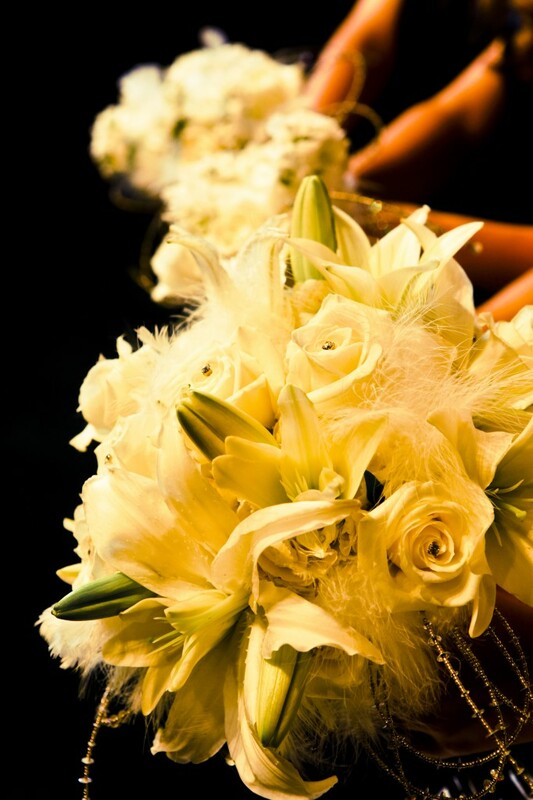 The texture of the bouquet is softed with feathers and accented with rhinestones and strands of beads. The bridesmaids carried smaller bouquets of roses and stock with feathers and strands of beads. The grooms boutonniere was a white rose with winter greens and white feather accent.